Recently there have been many more comments made via online networks like Facebook and Twitter about a seemingly sudden and significant rise in on-street parking rates in Birmingham’s city center. The rates were last raised in 2009, though city officials admitted the changes hadn’t widely gone into effect nearly a year later. Current reports show meter rates have risen to $0.25 for 8 minutes — an increase included in the city’s 2015 municipal budget. Fees for city owned parking lots have risen at this time and they may be seeing some increased usage as a result of the unavailability of spaces under Interstate 20/59 adjacent to the BJCC complex. 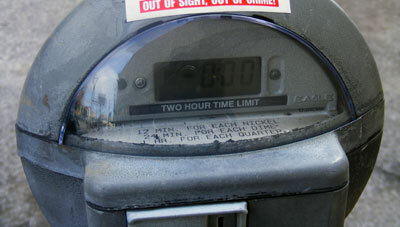 The following is a quick round-up of parking meter and city-owned parking deck fees from cities either visited as part of the then Birmingham Regional Chamber of Commerce’s BIG Trip (as has been done on this site previously) and those currently referenced as peer cities in the Birmingham Business Alliance’s Blueprint Birmingham document for the purposes of comparison. NOTE: All on-street metered rates listed above are for that city’s central business district area. There were some interesting findings as the research was conducted. While there are several parking deck options in Nashville, there are only two municipally owned options in their city center; this would be why the rates included may seem lower than what’s typically encountered while there. It played out that way in several of the cities referenced. Many of the peer cities had also created interactive sites allowing potential customers to know about availability in parking decks. Additionally, it was determined that it’s really difficult to find rates posted online for metered parking in Alabama cities. One question that still remains though based on the necessary shifting of parking options — why does the western end of the Morris Avenue lot still look like this most days?